The enemy has used the temptations of this world to lure so many of our young people away from the values and teaching of their Christian upbringing. Bestselling authors Quin Sherrer and Ruthanne Garlock have both endured the pain of waiting for the return of prodigal children. Yet even as they gave each situation into the hands of the Lord, they did not wait passively, succumbing to fear and despair. Instead they battled for their children in prayer, waiting expectantly for Almighty God to intervene. And He did! 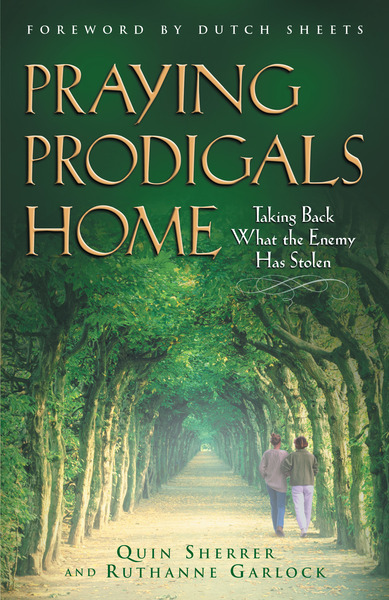 Now they tell the parents of prodigals how to pray their prodigals home, and how the experience can draw parents into the arms of their heavenly Father and strengthen their bonds of love.